Situated between Israel and Jordan, the Dead Sea is one of the world’s oldest health resorts with proven therapeutic qualities making it one of the most spectacular and unique places on earth. The fact that makes the Dead Sea unique is its location, salt, mineral content in water as well as in its mud. At 422 meters below sea level, The Dead Sea is the lowest place on earth with the highest salinity concentration (33.7%), which prevents any living creature of any kind living inside it. The waters of the Dead Sea have the highest concentration of minerals and salts among all the water bodies in the world. Out of 21 different minerals in the Dead Sea, 12 of them can’t be found in any other water source in the world. Apart from the water, Dead Sea mud also possesses some truly amazing medicinal and therapeutic properties. Mud wraps and salt scrub can infuse a new life in the skin by shedding the dead skin cells and by effectively drawing out the toxins out from the body. 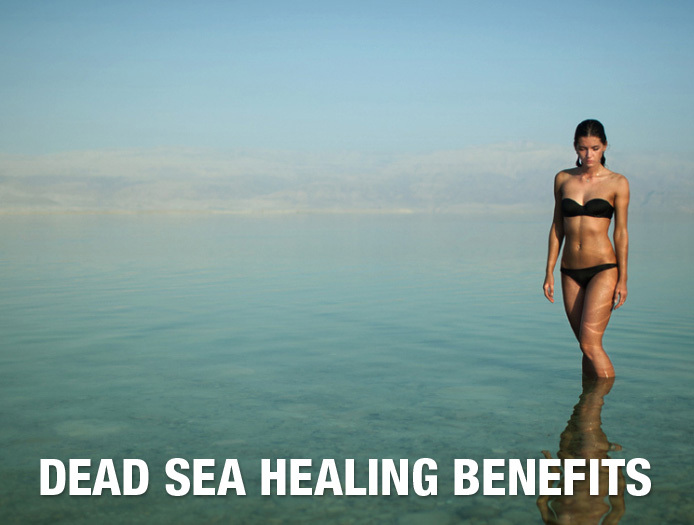 So, what do you think is responsible for the extraordinary healing benefits of the Dead Sea? The first and foremost thing you need to know is that the Dead Sea is the lowest place on earth. This wondrous place is 422 m below the sea level. This excellent location of Dead Sea makes it the only place on earth that is blessed with abundant oxygen in the atmosphere, relatively high atmospheric pressure, hot weather all round the year, minimal ultra violet radiation from the sun and the essential mineral and salts rich mud. The combination of these unique qualities allows the Dead Sea to be the most natural health resort for treating skin diseases such as psoriasis and eczema in the world. Dead Sea products originally offered by Jericho Skin Care are not only super-effective for sensitive skin but also protect the skin cells from early aging. All Jericho Skin Care products are enriched with Dead Sea minerals and composed with natural essential oils giving the skin an increased elasticity, even tone and a radiant appearance. The black Dead Sea mud with its antiseptic qualities is especially known for its nearly twenty types of beneficial minerals that can provide an unparalleled beauty purifying therapy and a total body relaxation experience. The mud wraps, which the therapists used to cover your body, help the body to absorb all the essential minerals and salts. This helps in the in-depth cleansing of your skin, stimulate blood flow to soothe and revive tired, aching muscles. This invigorating therapeutic body treatment can be experienced at your own home using Jericho Black Mud Body wrap for a complete body rejuvenation. The Dead Sea black mud is especially helpful in protecting you from certain skin conditions and other physical ailments such as acne, pimples, black spots, arthritis, rheumatism, muscle stiffness and even the joint problems. Use Jericho Dead Sea Purifying Mud Mask for a unique deep cleanse and revitalize your skin with its natural rich & nourishing mineral content. The salts found in the Dead Sea waters can be used in the baths or you can apply them topically on the affected skin areas. The healing properties of these amazing Dead Sea salts cannot be understated. Jericho Skin Care Dead Sea products made from these salts are extremely helpful in rheumatologic disorders, cracked and dry skin, hives, skin irritations, psoriasis, insomnia, stress and even muscle aches. Dead Sea cosmetics such as the salt scrubs can be effectively used to remove the dead skin cells by exfoliating the skin. Regular use of these Dead Sea scrubs can help you get the glowing and healthy skin. Indeed, Jericho Energising salt scrub is one of the most effective Dead Sea products. Surrounded with stony mountains and steep canyons, lies The Dead Sea with waters ten times saltier than those of the ocean containing a unique array of chloride salts – magnesium, sodium, potassium, calcium and bromine. These waters being 400 meters below sea level have nowhere to go other than up to the air, creating a high atmospheric pressure high with oxygen that filter the sun’s harmful UV rays. With proven scientific health giving properties, the Dead Sea water, hot climate & enriched atmosphere is an ideal natural therapy spa getaway bringing tens of thousands of people from all over the world to rejuvenate, relax and recover from different skin disorders & joint diseases. Celebrate our 4th birthday with us!